If a person commits any felony when armed with a pistol, rifle, shotgun, revolver or any other firearm he is subject to an enhanced sentencing penalty of up to 20 years in prison RSA 651:2(II-g). For a second firearm related felony conviction there is a mandatory minimum sentence of three years in prison. If a firearm is used in the commission of a federal crime this can drastically increase the sentencing guideline range and may trigger a mandatory minimum sentence. Under New Hampshire criminal law, there are a number crimes that can carry enhanced penalties for using firearms such as criminal threatening, reckless conduct, or receiving stolen property. 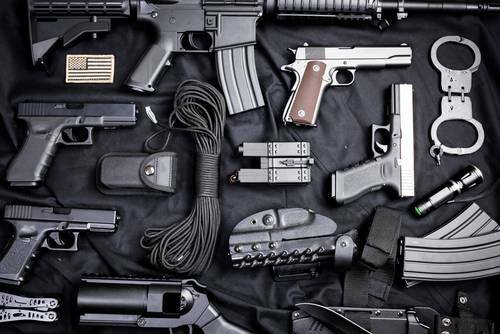 There are also a wide variety of other firearm related crimes under both state and federal law, such as giving false information on an application to purchase a firearm. If you are accused of any crime involving a firearm the accusation should be taken seriously. The use of other types of weapons can enhance criminal penalties as well. A deadly weapon is defined as any thing that is used, intended to be used or threatened to be used in a manner that is capable of producing death or serious bodily injury. It is illegal for almost all felons to possess a deadly weapon. A knife, motor vehicle or other object could be considered a deadly weapon depending on the circumstances. The lawyers of Cohen & Winters defend clients charged with committing a felony with a weapon. If you’ve been charged, don’t wait. Contact us today for free consultation.